Everyone hates voicemail. The idea of checking a message to see what someone wants is such an antiquated notion that it might has well have been sent as a fax. 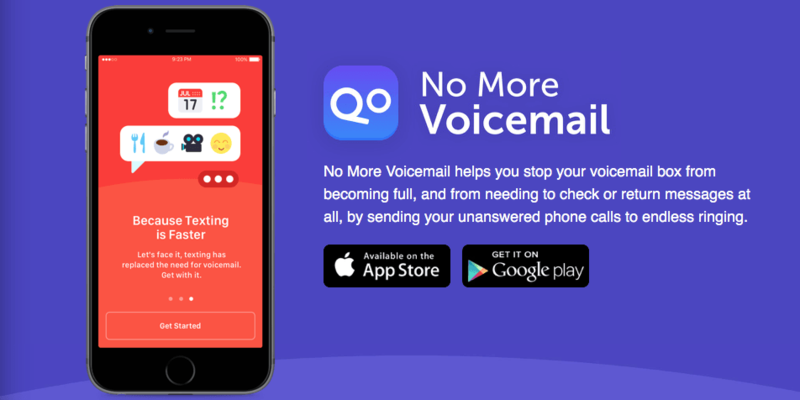 ‘No More Voicemail’ for Android and iOS aims to change consumer behavior by using your phone’s call forwarding feature to send callers to a virtual number that will ring forever without actually sending the call to voicemail. Everything operates as normal when you feel like taking a call. If you ignore, mute or send the call to voicemail however, No More Voicemail springs into action and sends callers into a sort of call purgatory aimed at getting them to hang up and text you. It’s calling as god intended.